It's a white shimmer polish today. 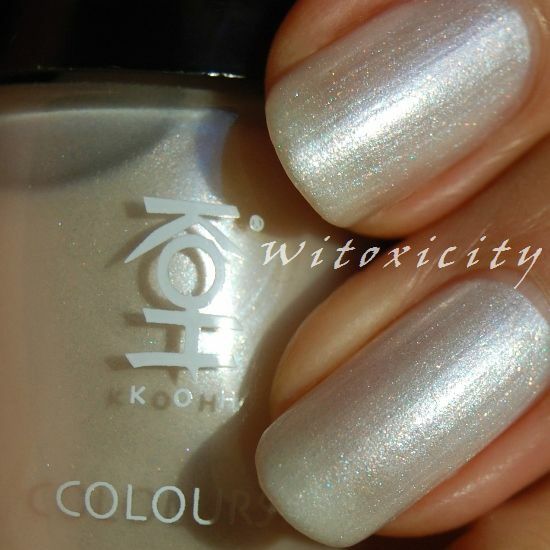 KOH Diamond is a white/off-white shade with very, very subtle golden twinkles. It's a cloudy diamond, I'm afraid. You're looking at three coats here. 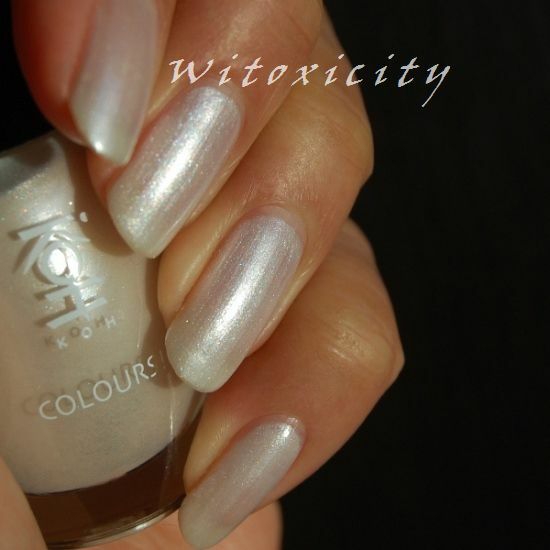 KOH Diamond belongs to the Jewels collection.